sailboat. 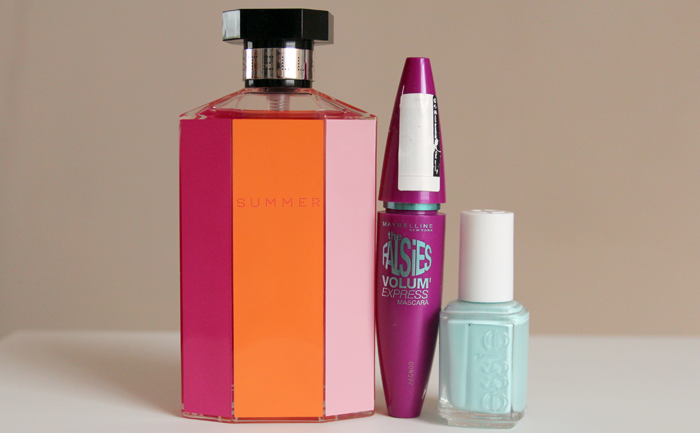 : Make Up: Some Summer Favourites! Jennie, I am loving the photos! :) & I have to have all those blushes haha they look so nice! 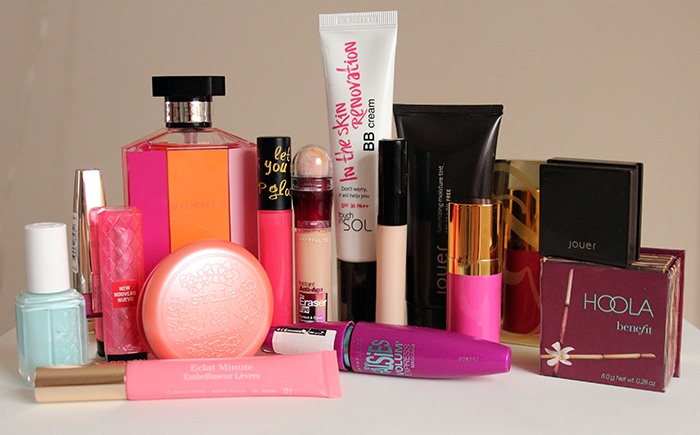 Especially the Estee Lauder & Stila! Look at those lip products. Swooooon! I think I need to try Hoola! I always find the Collection concealer cakes and creases really badly on me, maybe I've been using it too heavily? I'll have another go with it, thanks for the tip! I also love Rain by Marc Jacobs for a summer scent, it's an aquatic floral, very clean and fresh! My favorite summer makeup is NO makeup. It's very humid here and skin feels sticky with foundation. Of course I don't go anywhere without mascara and old Nivea is my all time favorite. Ive been loving and using my Erborian BB Cream during this heatwave - it's the only thing staying on my face on the very hot and sweaty underground!! Love this-I think Summer is time for some new makeup :) I haven't tried the revlon lip butter yet but I really really wnat to :) And you can't beat a good Benefit cheek product for summer! I love hoola fro bronzing and usually sugarbomb for blush! I love your summer picks! You should try the Bobbi Brown BB cream, its a staple in my summer make up bag and it has SPF 35! 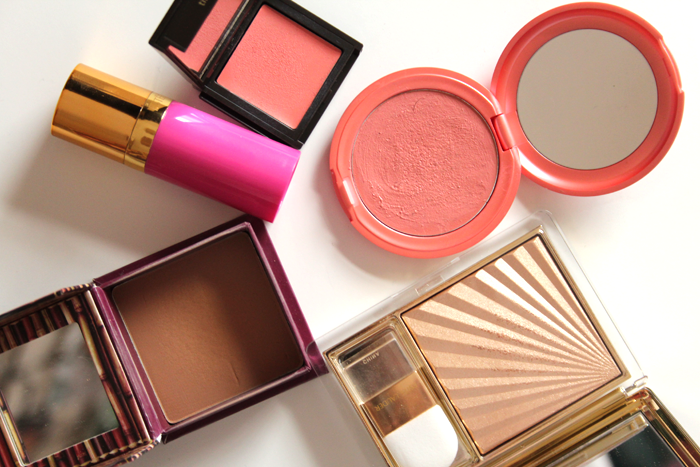 love the colours of your blushers! I really like reading these kinds of posts :) The Stila blush looks great! And I have been so curious about that Maybelline concealer.. But I've got so many others laying around I couldn't justify the purchase. I'm thinking about buying that Maybelline mascara.. I really like this post! Everyone's Summer edits are so inspiring but I haven't a clue where to start. I plan on buying the Stila Convertible Trio, as I've heard cream blusher is much easier to work with during warm weather and the formula is lightweight. I do think I use a bit too much of the Lasting Perfection concealer and I need to stop being so liberal with it. Wearing much makeup in this heat is unbearable. I'd love to try Jouer products but I don't feel confident without seeing the shades in person. They seem to generally work well for very many people. Note to self: take a whiff of Stella Summer in Boots tomorrow. So obsessed with Stella perfume! Lovin' all of ur lip products, perfect colors for summer! Lovely picks! I'm a fan of Benefit Hoola as well - it's really my only contouring bronzer and I don't really need anything else. Essie Mint Candy Apple has been on my wishlist for ages. I really want to try Maybelline The Falsies mascara - that seems to be a favourite of many. Also the Jouer base - still tossing up between the luminizing one and the matte one! Oh wow! We do not use many of the same items at all! I think overall, your products are a bit more "high end" than mine. I gotta ask. How did you get the round stila blush to stand? I think I stared at that photo for way too long, trying to figure it out. This is such a great post, all of the products look so wonderful & there are definitely some I'm interesting in trying! Gorgeous stuff! 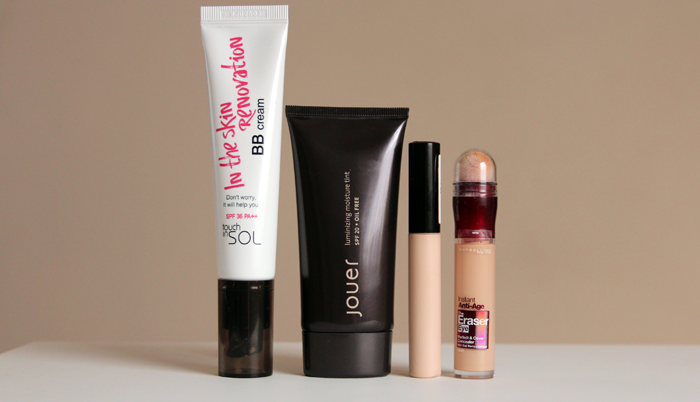 Maybelline Falsies is one of my all time fave mascaras so I totally agree with you on that one :) I really want to try the Jouer tint, I haven't touched a foundation in forever and I'm obsessed with BBs and tinted moisturisers at the minute! I love the lip butters too, you're not on your own there :) Same for the Stella fragrance, it is lovely. I've had my eye on the Jouer tints and Stila Convertible Colours for ages, need to get my hands on one of the latter but unfortunately my skin is being hormonal at the moment so needs a bit more coverage than a tinted moisturiser. It's a shame, as I used to live in them! 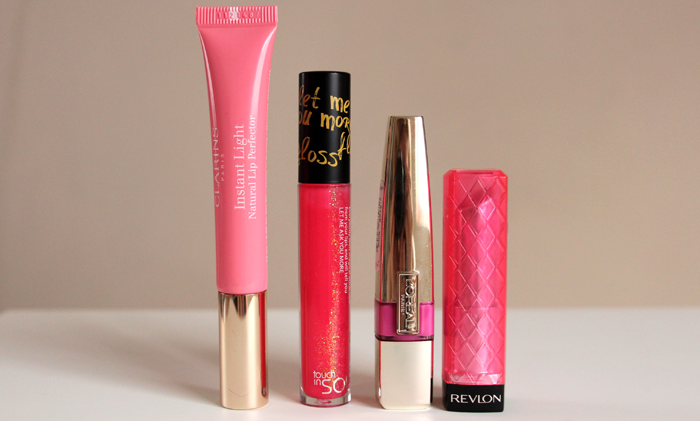 I like the lip butters too - such an easy, low-maintenance way to get a pop of colour in the summer.